Home » Can England Win the World Cup? England’s exit in the group stages in 2014 was the first time this had occurred since 1958. Luis Suarez’s brace in Sao Paulo was enough to officially end the unconditional hope a nation had in it’s team and if there were any hopefuls left, a 2-1 defeat to Iceland at Euro 2016 in the round of 16 would have been the last straw. The Three Lions were a long way off being the best in the world and there was certainly no guarantee they would dominate big tournaments for a long while to come. Now that the 2018 World Cup is ten days away the expectation levels have been measured and for the first time in a long while, an England squad will go in with a sensible goal of reaching the quarter-finals. To a large degree, the pressure would have been eased on the young team that Southgate has assembled. Make no mistake, there will be pressure but that is international football at a World Cup, every team will feel it as they get deeper into the tournament. Harry Kane has been quite vocal about England’s chances and insists they can win the World Cup. It will be the first time England are led by a striker at the World Cup since 1998 when Alan Shearer wore the armband in France. Is there any merit to what the Spurs forward is saying? The Three Lions will have to compete with many good teams and at 16/1 in international football betting, England aren’t outright favourites but are seen as a team that can progress with a few fortunate breaks. Kane’s response isn’t seen as bigging England up but rather saying what is expected to be said. Gareth Southgate may not have been everyone’s first choice but the work that he is doing with a young and talented side has to be commended. The former Middlesbrough captain has England keeping possession, playing out from the back and breaking with lightning pace. 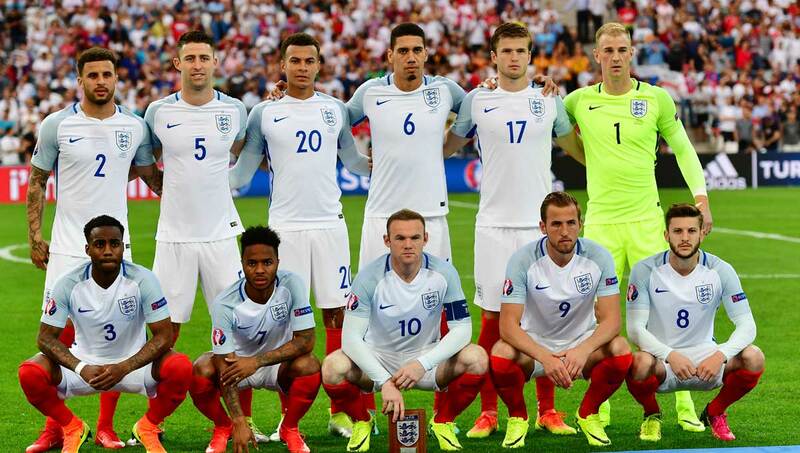 If truth be told and ironically enough, this is an England team to be very excited about going forward. There was an acknowledgement by the FA at the end of Euro 2016 that England's approach needed to change and that started with the foundations at grassroots level being ripped up and put back in place. Now that this has been done it feels like England are on the right track as they follow a blueprint from around the world that has been successful. Can England win the World Cup in Russia 2018? The answer is it remains to be seen but in all likelihood, it may be a World Cup too soon to be the ultimate favourites. That said, with Southgate in charge England have a skilled manager with a young and energetic team at his disposal who will come out swinging in Russia.